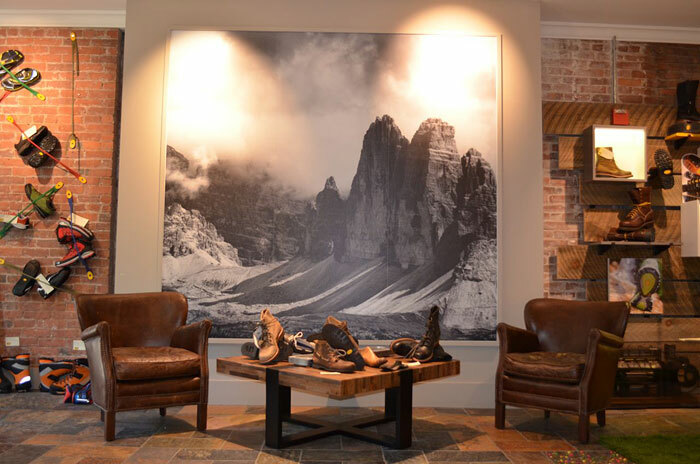 A large print of my Tre Cime black and white image in the new Vibram FiveFingers retail store in Boston, MA. I'm proud to be associated with Vibram, a brand that Marla and I have trusted for decades of backcountry travel. My stock images are available for commercial use and I am available for commercial assignment work. I can stitch hi-resolution images to create huge files for big displays. This particular photograph was made from a single frame. Photo © copyright by Dave Showalter.